As 2018 kicks off in full swing, it’s time to plot and plan our way around the various SARS submission deadlines. 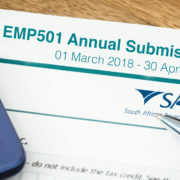 The first such deadline is the annual submission for EMP501 – during the Employer Reconciliation process, employers are required to submit an EMP501 declaration which reconciles the taxes collected from employees with the monies paid to SARS, and the total tax value of employees’ income tax certificates for the respective period. Deduct the correct amount of tax from employees. Pay the amounts over to SARS on a monthly basis. Reconcile these deductions and payments during the annual and interim reconciliation process. Issue tax certificates to employees. 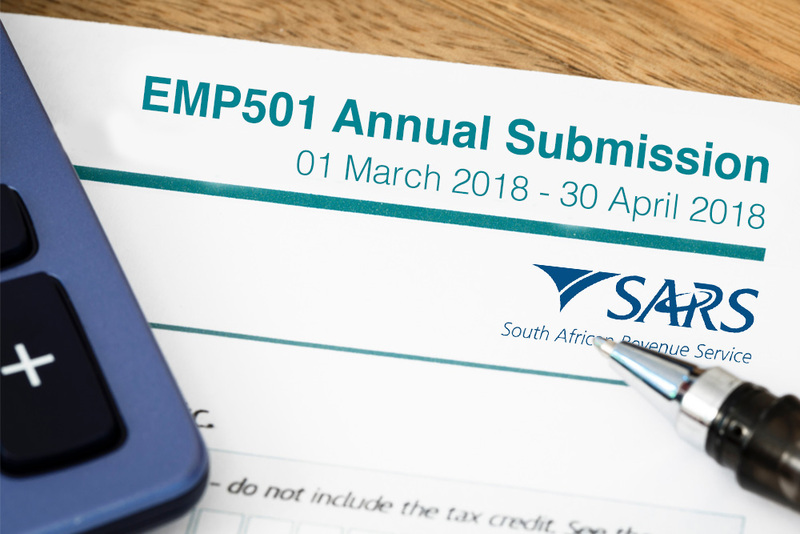 The deadline for the EMP501 submission for 2018 is 01 April 2018 – 31 May 2018. This gives employers 2 months to prepare and submit the EMP501 information to SARS. While these submissions, and others, can be an admin nightmare, they really don’t have to be. By outsourcing the work to a tax consultant like MoneyPenny, you can rest assured that all tax-related issues are taken care of, allowing you to focus on growing your business. Effective employee tax management relieves stress, not only on your business, but also on the people who work for you. Non-compliance with regards to your taxes, will lead to punitive penalties and could ultimately cost your business a lot of money. By structuring your affairs and transactions optimally, with the help of MoneyPenny, you can end up saving substantial amounts of money in income tax, capital gains tax and estate duties. To learn more about how we can help you and your business, complete the form on our CONTACT US page and our experienced team of tax advisors will get in touch. For more tax and accounting news and updates, follow us on Facebook and LinkedIn – Click the icons below.